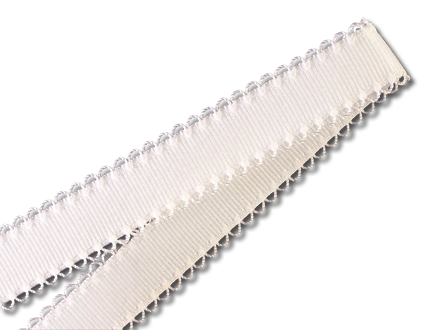 This picot elastic measures 10mm wide (about 3/8") but can be made to almost any width. It features picots on both edges. 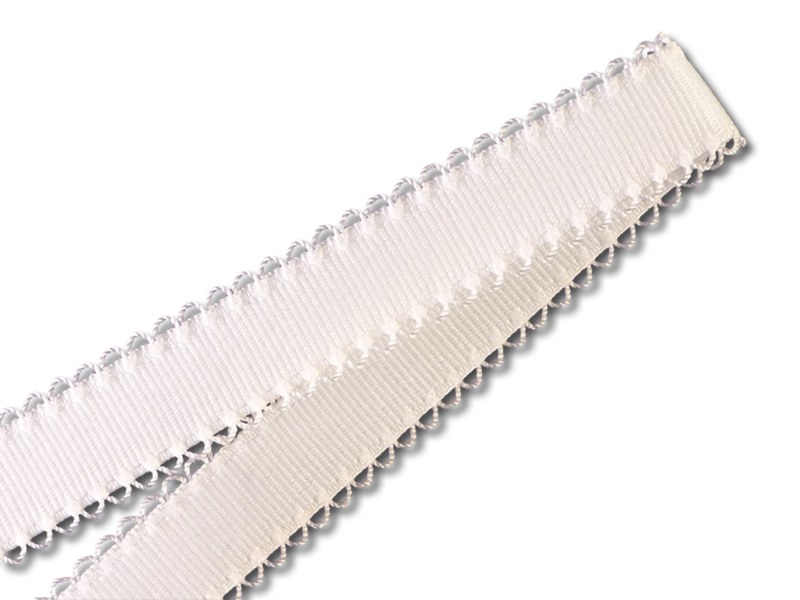 This elastic is relatively firm and can be used for straps as well as a decorative trim.